Japanese WWII 120 mm. The battery is located on island of Tinian. 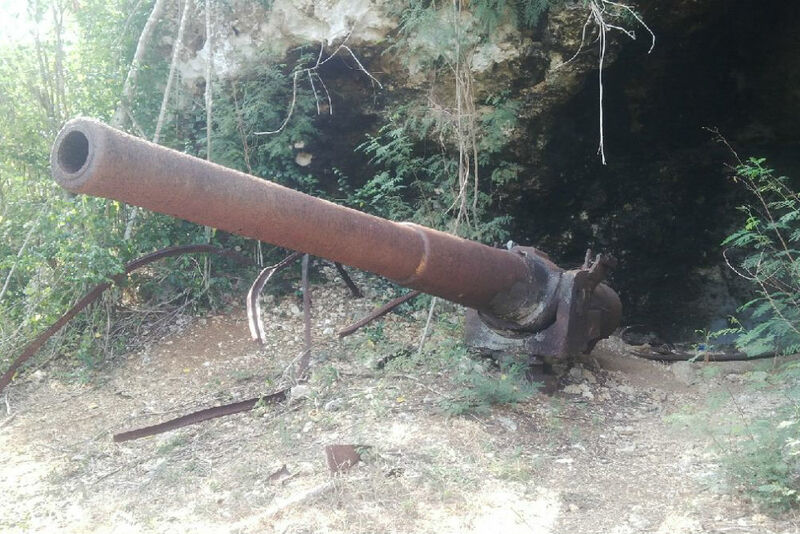 During WWII the gun would have had a played a critical role in defending the Southwestern side of Tinian from the Allied invasion.